Ever notice the word "present" (prez-uhnt) in the word "presentation"? It's actually a gift in itself. How about skipping the tried and true "gift bag" the next time you are wrapping a present. 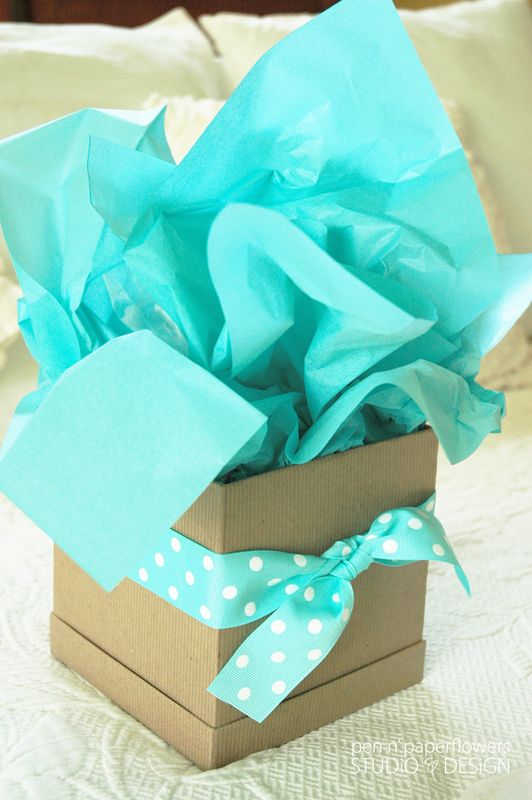 Try something a little "out of the box"
Use a "gift box" instead. wrapped the box with coordinating ribbon. The presentation makes it seem like you put a lot of time and love into wrapping it. (even though it's simple). The box can be reused - either for gift giving or organizational purposes. The box is cute all on it's own. You can actually put an item in the box that wouldn't normally fit with the lid closed. And then tying it closed with some pretty ribbon. Upon packing the cookies inside, I realized I couldn't shut the lid. I knew I would get it back since the gift was going to my daughter. Cute & clever! Like the advanced recycling angle, too!